We’re just days away from the calendar event of the year. So what does Christmas mean to you? Quality time with your nearest and dearest, travelling, shopping, cooking, family feuds, debt, stress, time off work? The real meaning of Christmas, or if you prefer the Old English version Crīstesmæsse meaning Christ Mass, is the annual commemoration of the birth of Jesus Christ and it’s a very widely celebrated holiday by millions around the world. The celebration, as we know it, takes place on the 25th December and is celebrated by a feast that is central to the Christian liturgical year; the advent season is closed and the twelve days of Christmastide are initiated. A few centuries ago, it was customary to feast for the full 12 days and not just the one day (or two) days as is generally done now. So, that’s the official definition but what’s yours? There are very few adults that I know (I could probably count them on one finger) who share the same enthusiasm about the celebration of Jesus’ birthday as most children. Earlier this month I wrote about how a recent survey revealed that 7 out of 10 people were not looking forward to Christmas but what the survey didn’t reveal was why? What happens to us all once we become adults that we appear incapable of gleaning enjoyment from this, the most magical of holidays, beyond the vicarious thrill of watching the experiences of our children? Is there a switch that goes off somewhere in our teens that stops us from appreciating some of the wonder of yesteryear? I wanted to try and understand that so who better to start with than myself. Yes, contrary to popular belief, I used to be a child once and was not hatched from an emu egg. 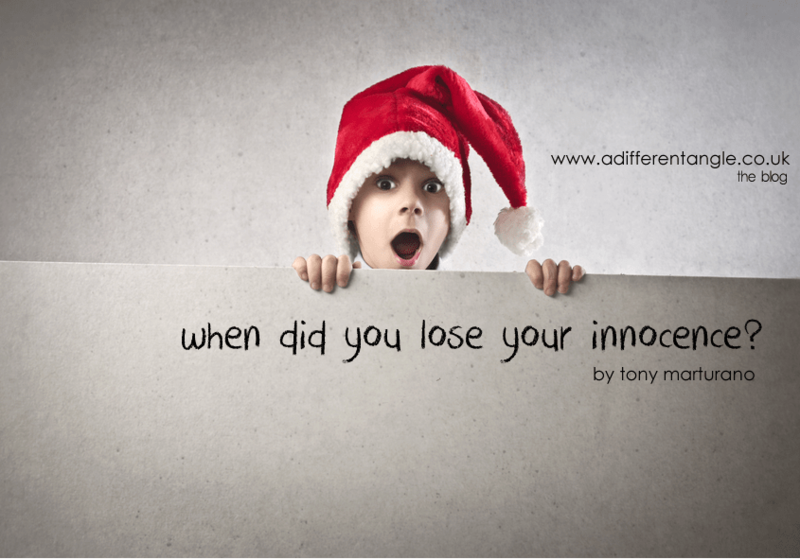 So I stopped the world as I know it for a few minutes and travelled back into the deep recesses of my mind to tiny Tony years and asked myself; what do I remember about Christmas as a child and when did I stop feeling the same? And this is my story to the soundtrack of Ludovico Eunaudi’s Rйverie. I guess it all felt different for me back then, somewhere around eight years of age, the world was different (it was much bigger for a start), food certainly tasted much better back then when life was about having fun. In fact, in was one of my very few duties and I assumed this undertaking with vigour. Yes, there were a few bumps along the way, maybe things didn’t always go quite go as I demanded and there were a few dark areas but, generally speaking, life was for living. It was innocent, pure, and quite literally unadulterated; I woke, breathed, ate, played, explored, learned, loved, but only when it suited me, I cried but only temporarily because and my friends and I were easily distracted by the next best thing. Wonder awaited around every corner for the world, in all of its enormity, held endless promise of adventure. In fact, I travelled nearly every day, faraway journeys to amazing new worlds and I paid no currency for tickets, I travelled for free on the wings of my imagination, I’d visit all four corners of the earth and sometimes even outer space, I’d rarely feel exhausted just sleepy, eager to restore my batteries, breathless with anticipation of the next journey that led, beyond my birthday, to the most exciting day of the year. 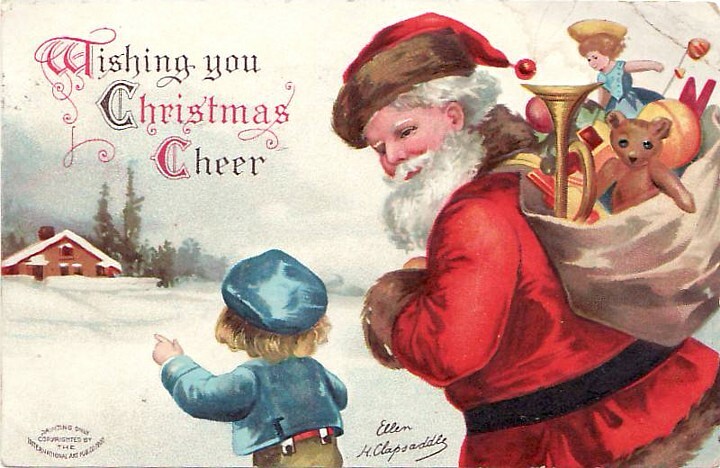 As a child in an Italian home, nothing could dampen the magical excitement of the 25th day of the 12th month. I remember, Christmas was always such as buzz to the senses: the smell of baking infused with the spicy aroma of nutmeg and cinnamon of biscotti, warm and toasty just like our snuggly home where, in the living room, stood the giant Christmas tree winking at passers-by through a condensation-fogged glass window as they hurried about their business in cars and by foot with all the urgency of hibernators gathering before a winter storm although there was no snow and more than often there was just freezing fog, blurring the yellow street lights. I remember watching the strangers outside and wondering what Christmas might be like for them. Were their homes just as cosy as mine? Were they as excited and as lucky as me on this Christmas Eve? Did they feel as safe and as secure as I did and did their children, like me, sneak a peek at the presents under the tree, surreptitiously counting name tags and trying to guess what lay behind the thin veil of Christmas wrapping paper? And did they nag their mothers for a special preview opening and were they as equally denied? Or was it just me? Never mind, the refusal was only temporarily disappointing as my Mamma would distract me with the very important task of biscotti quality control, a job that I took very seriously. It was right up there with scraping out the bowl of cream and baking mixture. Sleep never came easy on Christmas Eve and when it did, it was often only to dream of morning which eventually came, rousing me with the scent of rosemary, wafting up the stairs from the turkey that has been roasting overnight, and so I’d stir to realise it’s Christmas day! More from habit than actual expectation, I’d look out of the window for snow and would often be rewarded with its cousin; frost but it was just as exciting because it was Christmas! And that’s when I’d tune into the symphony of pots and pans drifting from the kitchen; Mamma! So I’d leap out of bed and bound down the stairs like an anxious puppy where I’d accept her kisses and hugs as we’d breakfast on latte and Panetone (Italian Christmas cake) and, if I was lucky, maybe the opening of a small present. I remember one particular Christmas. I was about eight, not old enough to understand the true meaning of responsibility and just about old enough to understand the meaning of money enough to know that Mamma didn’t have much of it despite working all hours yet I remember an early morning frosty stroll to our garage (which at the time was not adjacent to our home), watching the metal door lift open and seeing my first bicycle. I literally lost my breath; I was dumbstruck as it wasn’t at all expected because I knew Mamma couldn’t afford it, yet there it was. For me, this was Christmas, this was living. This was my life, the moments that stayed with me, the moments that made memories and solidified family bonds. Before long, we’d be dressed in our finery for lunch and I’d help to set the table (yes even back then) and then it’s time for the home invasion of brothers and sisters, husbands and wives, and maybe even a grandchild or two, cue a lot of food and a lot of noise. It’s Christmas, the Italian way. This was life, pure, free from history, experience, responsibility, expectations, pressure, frustration, emptiness, loneliness, worry, heartache, fear, physical aches and pains … life, unadulterated. This scene has repeated itself throughout the years with multiple variations, including the table (and presents), the addition of nieces and nephews, granddaughters and grandsons, as well as a lot of maturity but the core value remains the same; family. So, what about you? What were your Christmases like? Can you remember? Can you remember a special Christmas? The sights, the sounds, the smells? And can you remember these now, as an adult and does the experience feel the same to you? 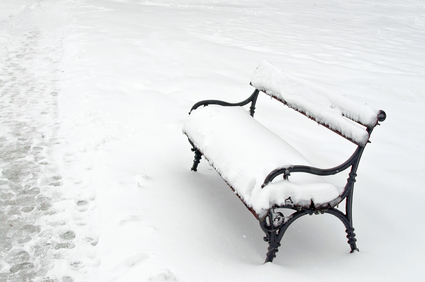 Take a few seconds to consider… when was your favourite Christmas? What is your favourite memory? Is it your best memory as a child or as an adult? And can you even retrieve the best memory amidst all of the other mediocre, maybe even painful ones? Bad memories smother the best ones with their fog but you can navigate through them, you just need the will, the time and the inclination. It’s just a state of mind. You have a choice. Bad or sad memories cannot be switched off but you have choice of whether to control them or to allow them to control you, to define who you are today. I shared with you stories of my youth which, quite honestly, until I actually sat down to write about them I didn’t realise were so idealistic; I wanted for nothing and I can only remember laughter, love and the support of my family (okay so maybe there was odd argument but we were family, it’s expected) but now, well, things don’t appear anywhere near as magical as they used to and it isn’t because the cooking tradition has changed because it hasn’t (apart from the fact that it tends to be my oldest sister who does most of the Christmas cooking these days) nor is it the fact that I no longer receive love or those those every important gifts, because I do. So what’s changed? Why is the season to be jolly turning more and more into the season to be jaded, sad and, for many, lonely? Nothing has changed but me. I simply don’t see the holiday the same way as I used to. To me things have changed somewhat dramatically. Everything feels contrived, commercialised and somewhat formulaic and nothing feels, well, Christmassy yet there’s only one reason for that; I’ve grown up. I used to be a wondrous little boy but, as is customary for most organic things, I grew up and somewhere along the way I left my innocence behind, that or it was snatched from me! And moan as I may, there’s no getting it back. I’m a grown man now and my perspective has been permanently changed by time, experiences, awareness, responsibilities, love, loss, joy and heartache. 7 out of 10 people ‘dread’ Christmas. Believe it or not, I’m often one of them; the commercialism, the ‘struggle’ for the perfect gift, the expectations, the financial pressures, the being forced to perform the duty to visit your nearest and dearest (or in our case), the assumption that we’ll be entertaining our nearest and dearest at Casa Bella. Yet, it’s become clear to me that all this ‘dread’ is not something that is created by others, some mythical beast created by corporations or by people I’ve never met, it’s something that we inflict upon ourselves. Christmas doesn’t seem the same for me because I am different. My taste buds aren’t what they used to be because I am older so food doesn’t taste like it used to. Christmas doesn’t seem as magical because it’s no longer polarised by wonder and innocence and the realisation that it’s no longer about the the selfish child version of me but it is about the new generation of children and other members of my family and my friends. In my heart, Christmas may no longer be the same because, like countless people around the world, I too have loved and lost and that’s because the only worse thing worse than to love someone is to need them. Many of us at Christmas, a time of joy, a time for the coming together of people, are reminded of absent hearts, be that a lover who used to share our bed or a family member who used to sit at our Christmas table. Life changes us, sometimes for the good and sometimes for the bad but we have a choice; to carry on trying to recapture our past, to strive to recapture our innocence and the times when the things that have affected us are yet to be or we choose to live the life we have now and consign our memories, good or bad, to a Christmas box where they can be remembered for who we were and as a reminder of who we’ve become but not what defines who we are. Then, let us take stock. Let us consider the people we are today, our world, our families our dear friends as they are and lets be thankful for our blessings this Christmas season as we pause to consider those more unfortunate souls around the world who are lonely, lost and without a home and with this new-found perspective let us consider the true magic of Christmas and the bonds that it exclusively has the power to tie. If you liked this story, please share and or remember to LIKE it on Facebook. follow the Story !! a very emotional account to read . Only by reading someone else’s Christmas Memories do you realise that as an Adult at what point did the Magic stop ?when did your Christmas no longer resemble the Scene on the front of the perfect Christmas card . When did the rushing ,Panicking .spending in order to make Christmas perfect for Everyone begin ? But as ever on the Day itself you look about you and everyone is Together Happy warm and safe and for a few short Hours we remember we Love each other Family and Friends alike ,and I am sure we all think for a while how fortunate we are to have what we have and who we still are able to share our Christmas with ,.and the Folk we have Loved and lost along the way we will remember with fondness and Love .and spare a thought for those who do not have a Soul in the world to even wish them a Merry Christmas .My most perfect Christmas was the Year My little Bother was Born five days before Christmas Day there was Snow on the ground and bitterly cold I truly believed God had sent me my own little Jesus to take care of and remember saying a Thank you Prayer at Mass for my gift .we did not have a lot back then but what we had was enough to keep us Innocently Happy . On the run-up to Christmas Eve, my Mum would always bake a Christmas Cake, and we would assist her with the tree. There was always a delivery of goodies just before Christmas Day containing alcohol & goodies (paid for weekly to spread the cost), & Satsumas stacked in crates were always available which we would eat by the dozen. We were allowed one chocolate from the tree each on a daily basis until they were gone, My Mum & Dad would always go out for a meal on Christmas Eve as it was their Wedding Anniversary. My Sisters, Brother & I would always creep downstairs early Christmas morning – Eyes wide & full of excitement, we would re-stack our gifts (Largest at the bottom). We would wait some time until we thought we could get away with waking up our parents. One of us would make a cup of tea & take them up to our parents bedroom, stirring them gently. Only after a cup of tea would our parents be ready to watch us open our presents. We would all pile in, paper flying everywhere. After each gift was received, we would kiss our parents gratefully on the cheek & say thank you. My Mum & Dad were always very generous at Christmas time – With a large family, money was always tight, but they always tried to make our Christmases magical. My Dad worked a lot of hours & when he wasn’t working, he wound down by watching a lot of telly – Most days, us children would eat at the table in the kitchen whilst Mum & Dad ate in the lounge in front of the telly. The only time we spent every moment together as a family other than holidays (which were very few), was Christmas Day. My Mum would set up the antique dining table in the lounge which could seat 6, and this would be the one day of the year we would all eat together. My Dad would help us play or set up/build certain gifts, and we would treasure every moment. Guests/close friends would pop in & sometimes we would have parties, which were always exciting to us. I also have fond memories of sitting on my Dad’s lap by the fire & toasting marsh mallows, chestnuts, & such. To this day, Christmas to me is about the people I love & about helping to warm someone’s heart (with a gift, or even a card), even if it’s just for a moment. I can’t be with all my loved ones at the same time, but I am in spirit – I think that is what Christmas is or helps to achieve. I don’t think (at least I hope not), that I shall ever feel any different. I keep my circle very small, but with each, I treasure every moment.